Six Feet Up is making its Plone banners available from its website. Six Feet Up uses the banners for events where it has booth space or where other promotional opportunities are available. 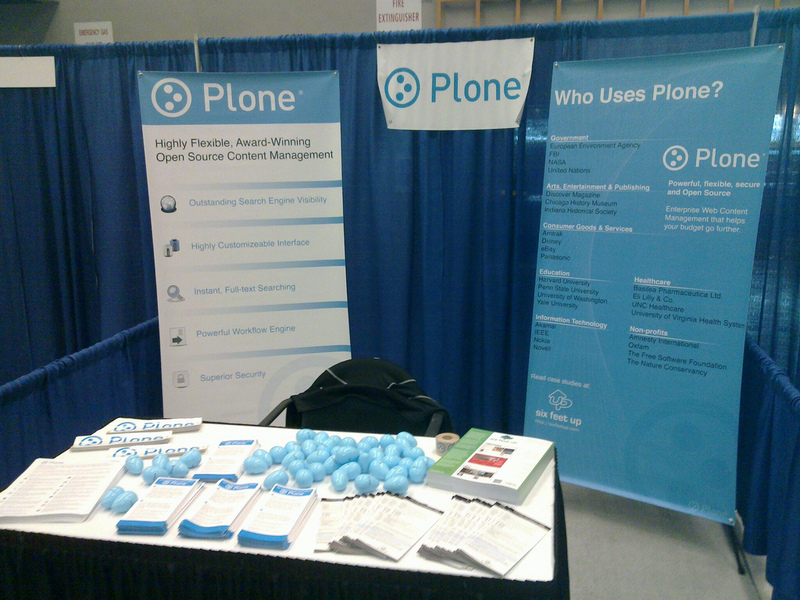 The first banner describes what Plone is and highlights the features that distinguish it from competitors. The second banner lists many easily-recognized companies that use Plone. Arranged by industry, the list demonstrates the variety and complexity of many Plone clients. If you need a banner for an event, the .pdf and .ai files are available for download.